The Hallmark Channel is an American cable and satellite television network that is owned by Crown Media Holdings, which is majority owned by Hallmark Cards. The channel´s programming is primarily targeted at families, and features a mix of television movies and miniseries, original and acquired television series, and lifestyle programs. Hallmark Channel´s programming consists of classic and some recent television series, and original made-for-TV movies. It also airs television movies and miniseries from the Hallmark Hall of Fame anthology series. Many of the Hallmark Hall of Fame films broadcast by the network were originally broadcast during its CBS run; the network currently airs Hall of Fame films on a two-week delay from their original broadcast on ABC (which began airing the anthology series in April 2011). Original programs broadcast on the network include the daytime talk show Home and Family (which originated on ABC Family, as The Family Channel, in April 1996) and When Calls the Heart (which is based on the novels by Janette Oke). The network´s original programming originally consisted mainly of lifestyle programs and made-for-TV movies; Hallmark Channel debuted its first original scripted series in July 2013, with the premiere of Cedar Cove (which is based on the novels by Debbie Macomber). On February 2, 2014, the Hallmark Channel debuted the Kitten Bowl during Super Bowl XLVIII; the event ? which was first hosted by Beth Stern ? is designed as counterprogramming to the Super Bowl and airs during the game´s halftime show, and is similar to another animal-themed event that debuted nine years earlier on Animal Planet, the Puppy Bowl. Kitten Bowl returned on February 1, 2015, and was watched by 1.3 million viewers. The network´s made-for-TV movies are characterized as family-friendly and inspirational, ranging from holiday-themed films to westerns. In the early stages of the channel´s development, Hallmark Channel had a steady one-movie-a-month, or 12-a-year, production schedule with the films mainly being produced by RHI Entertainment. However, in 2008, Crown Media had ramped up its production schedule to approximately 30 movies a year and opened up to other production companies, though RHI still produces some movies for Hallmark Channel. The network premiered 35 original movies during the period from 2009 to 2010. Hallmark Channel released 25 television movies during the 2011 calendar year. From the first weekend in November until January 1, Hallmark Channel runs a seasonal block called Countdown to Christmas, featuring a mix of holiday movies, specials and holiday-themed original programming. The block is branded as Countdown to New Years from December 26 until January 1 and culminates with the channel´s broadcast of the Tournament of Roses Parade. Other seasonal events programmed by Hallmark Channel include romance-themed movies and specials that air during the first half of February in the lead-up to Valentine´s Day; movies and specials relating to Mother´s Day and Father´s Day respectively air during May and June; and Halloween-themed movies and specials (among which include the channel´s The Good Witch film series) during the month of October. Hallmark Channel operated several cable channels in various international markets. 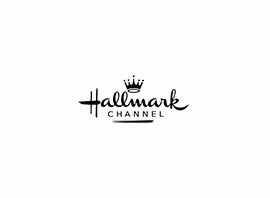 Outside of the United States, the Hallmark Channel services were owned by NBCUniversal under a brand licensing agreement with Crown Media Holdings, and was run by different entities that have access to the Hallmark name and brand. The international channel maintained different programming and content standards than the flagship U.S. service. Around 2010/2011 the international Hallmark Channel ceased existing and were rebranded into Universal Channel, Diva Universal or simply closed.